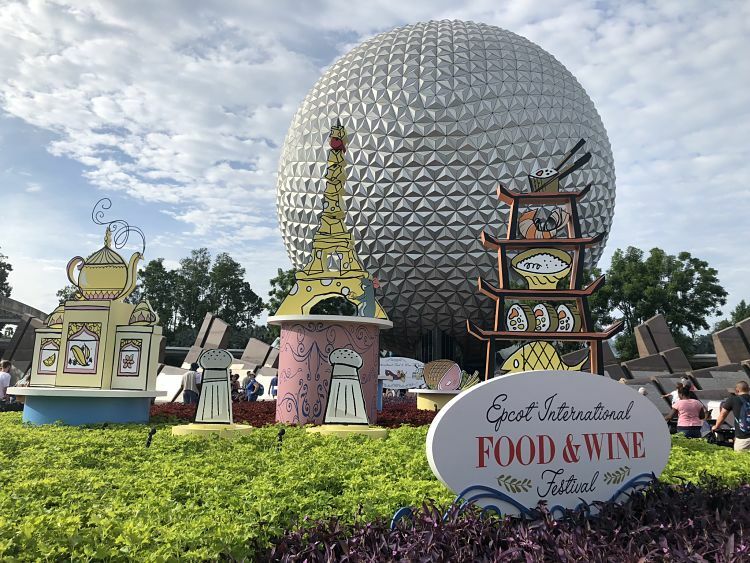 The annual Epcot International Food & Wine Festival has returned once again! 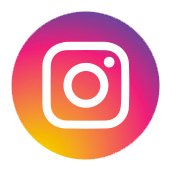 This year the festival runs from August 30 until November 12. 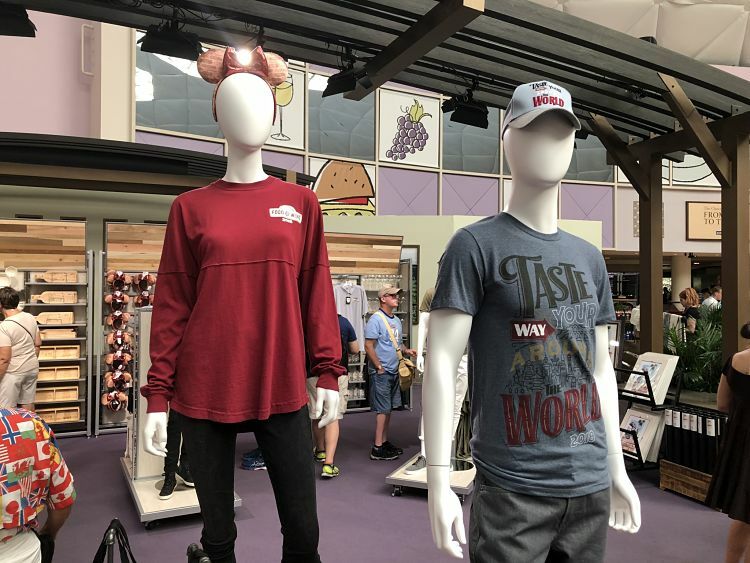 This will be the 23rd year of the Food & Wine festival, having a long-standing place as one of the most cherished traditions at Walt Disney World. 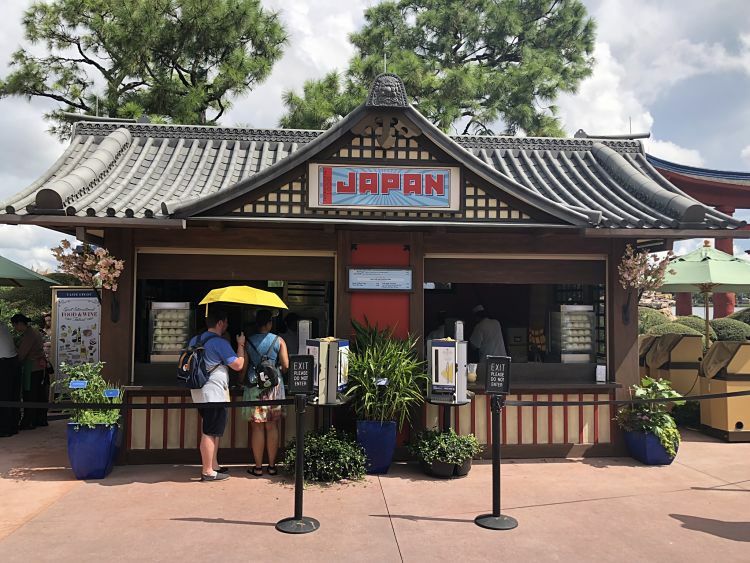 Of course, the Global Marketplace kiosks are back allowing guests to once again sample culinary flavors from around the world. Other staples of the Food & Wine festival are back as well, including culinary demonstrations, the Eat to the Beat Concert Series, and so much more. As we do every year, the DIS covered the first day of the festival to see what is in store! Sampling cuisine from around the world has always been my favorite part of the Food & Wine festival. This year I had a hard time finding new and exciting dishes that really caught my eye. One thing that did catch my eye was the Schinkennudeln from the Germany global marketplace. 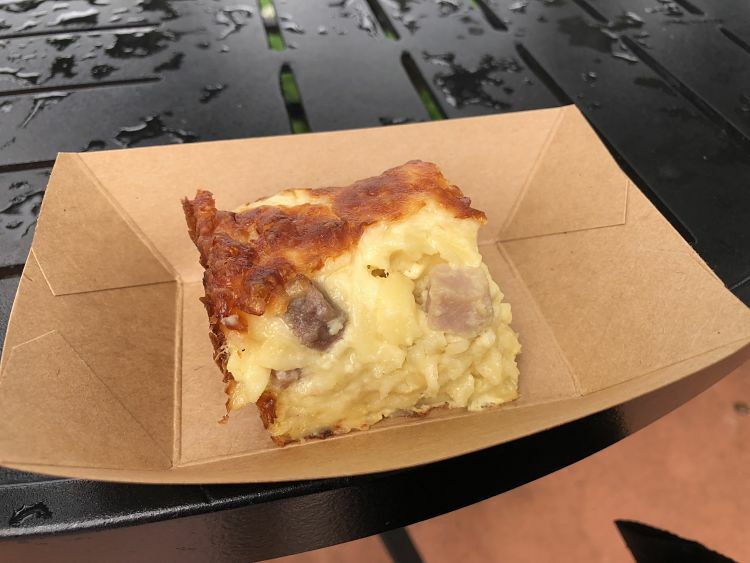 I’m not sure if this dish has been around during Food & Wine festivals of the past, but it was my first time experiencing it. For $4.25, I personally believe this is one of the best buys at the festival. I love Mac & Cheese, and I can tell you that this is a just fancy Mac & Cheese with ham and onions. It was right up my alley. It was cheesy and delicious. I ate every bite, and I’ll be back to get this again the next time I am in Epcot. Every single year I get the Lobster Roll from Hops & Barley. While the description of the dish is has remained the same, surprisingly the quality really varies year by year. Some years I’ve been pleasantly surprised, and other years it falls flat. 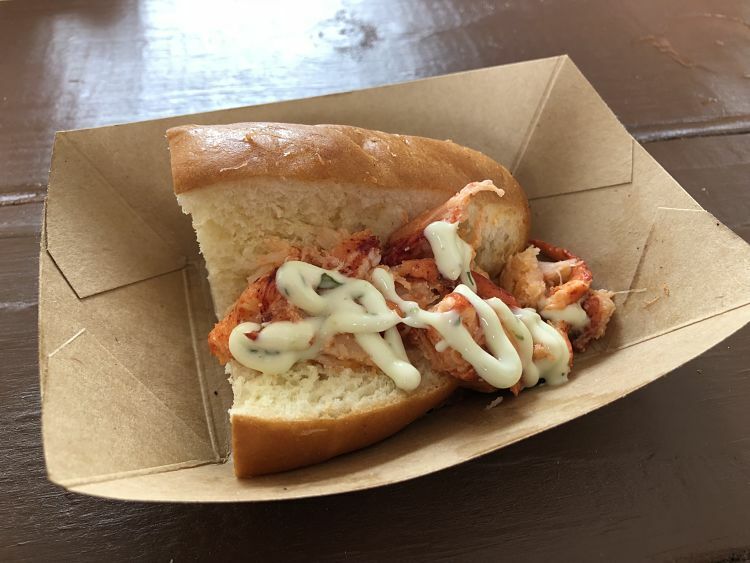 Unfortunately, this year the Lobster Roll was one of the worst I’ve had at any Food & Wine Festival. As you can see in the picture above there was very little Lobster meat. I understand that lobster meat is expensive, but they either need to slightly raise the price or take it off the menu completely, because at this rate I felt like I was paying $8.00 for buttered bread. At the New Zealand kiosk, I opted for the Steamed Green Lip Mussels for $4.50. You really can’t go wrong when something is smothered in butter, garlic, and breadcrumbs, right? Like most shellfish, the texture is not everyone’s cup of tea, but I enjoyed it. The mussels were satisfactory, and the garlic and butter masked most of the flavor, so while it wasn’t outstanding, it wasn’t bad either. 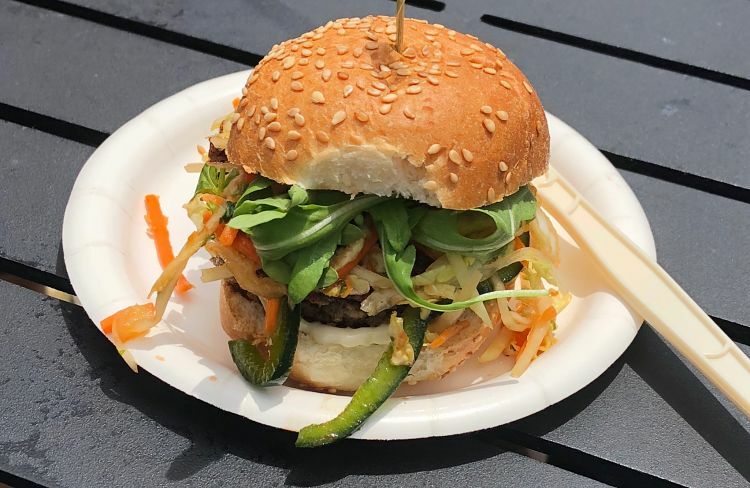 Two dishes that I’ll be back to try are The IMPOSSIBLE™ Burger Slider and the Steakhouse Blended Burger, which are both available at Earth Eats. Both burgers looked so delicious, and I had food envy because Craig Williams and Ryno Clavin both ordered each of them. I made a huge mistake ordering a Suja Cold Pressed Uber Greens drink for $6.50. I thought it was going to be blended fresh at the kiosk, but unfortunately, it was all pre-packaged in a bottle, and to make matters worse it tasted like a compost pile. I have had pressed greens in the past that tasted much better, but this was just terrible. Lesson learned. Another dish that I really wanted to try, but missed my opportunity on, was the Teriyaki Chicken Bun, which is a steamed bun filled with chicken, vegetables, and a sweet teriyaki sauce. When I went to order, they told me that they were currently sold out and that they were cooking more. To be fair they did say that they would have more in 20-30 minutes, but I didn’t have the time to sit around that long. I’ll chalk this up to it being the first day of the festival, and maybe they weren’t sure how popular the dish was going to be. During festival season Epcot comes alive. The entire park has an energy and a buzz that just makes it exciting to be there. The crowds were heavy, but if you don’t let it bother you it wasn’t that big of a deal. Some of the global marketplace kiosks had longer lines, but nothing outrageous. 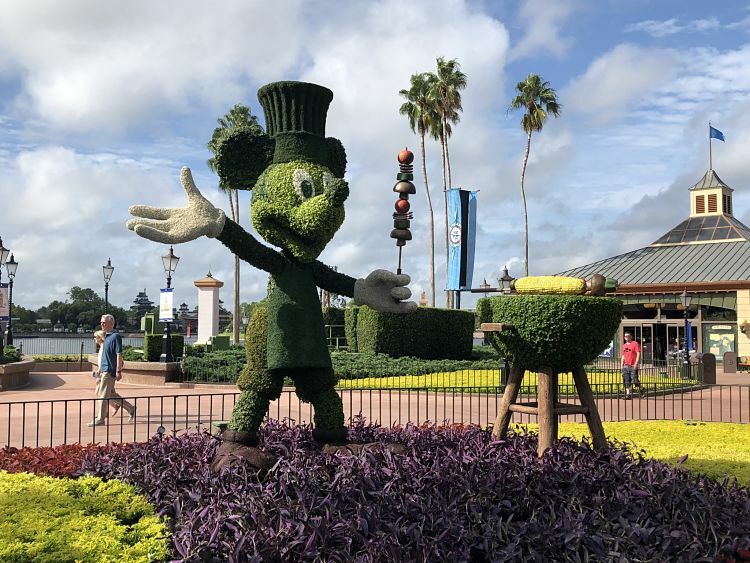 It is central Florida, and the Food & Wine festival is mostly an outdoor event, so for the first month or two of the festival, be prepared to be hot and sweaty. There is nothing Disney can do about this obviously, so I don’t put any blame on them for that. Cast members were preparing the stage for the beginning of the Eat to the Beat Concert Series that kicks off tonight (8/30) with Blue October. I’ve personally never listened to a band at the concert series that I was overly excited about, but I applaud this offering none the less because it is free with park admission. Disney continues to step up their game when it comes to merchandise. The variety of men’s and women’s clothing was exceptional for a festival. The “Taste Your Way Around The World” graphic t-shirts and spirit jerseys are likely going to be extremely popular. 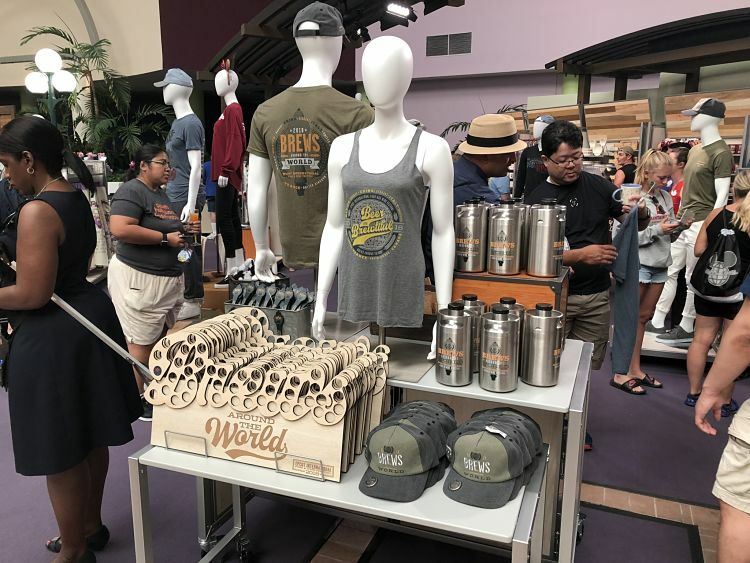 Typically, when Disney unveils a new line of merchandise there is a small list of items I like from the collection. This was the complete opposite. There was only a small list of items I didn’t love, including the Figment related merchandise. Sorry, I’m just not a big Figment fan. 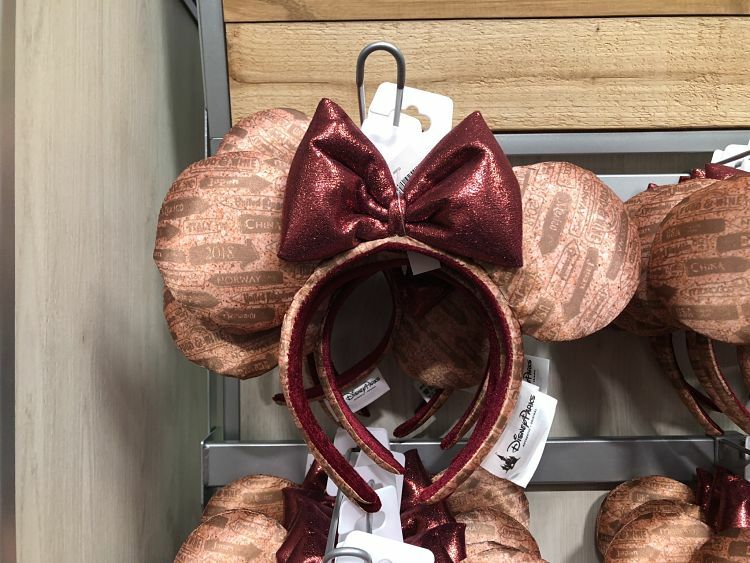 There are new Food & Wine inspired Minnie Mouse ears, which even on the very first day of the festival, I noticed many guests wearing already. The merchandise might have been the most impressive part of the festival to me. I really think they hit it out of the park this year. To be honest, the festival felt like it has for the past three years. 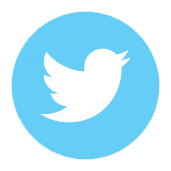 Some can view that as consistency, and others, like myself, can see that as complacency. Yes, some of the food has changed and the Eat the Beat Concert Series is hosting some new performers, but largely this is the same festival that it has been year after year. 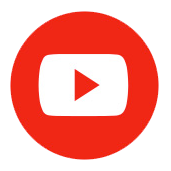 It would be nice if they had something new and exciting that mixed things up a bit. I’ll admit that this might be overly critical. 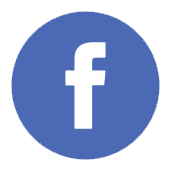 Most guests will have a fantastic time at the festival, but if you’ve been to the last few years of the festival, then be aware that this is essentially the same event it has been for a couple of years. I am excited to get back and try some more of the dishes and really experience the festival all over again because there is no way to do everything all in one day. So, while today wasn’t a home run, I am eager to get back to Epcot to try anything that I missed. 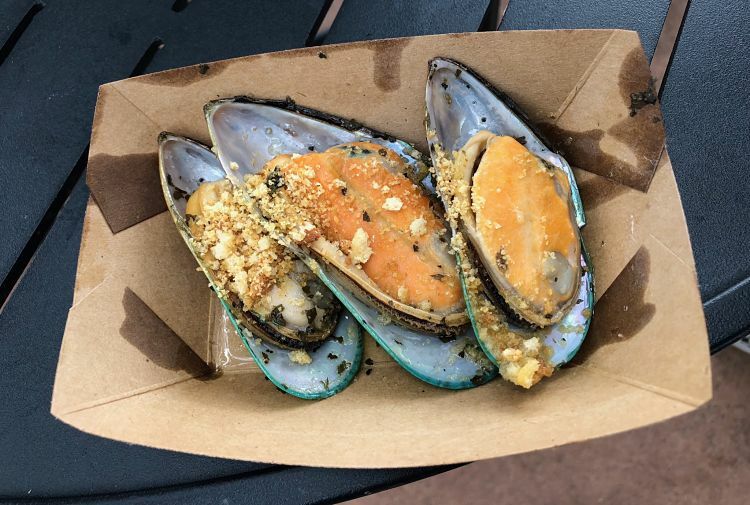 If you haven’t been to the Epcot International Food & Wine Festival in the past two to three years then I highly encourage you to visit and check everything out. Otherwise, I wouldn’t make special accommodations to make it to the festival. 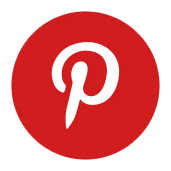 It is fun and enjoyable, but if you are looking for something new, you’ll really have to look closely at this festival.